VIVID 100 Broadband and Phone for £29 pm (usually £32 pm) at Virgin Media Don't miss out on this brilliant saving at Virgin Media! Player TV Bundle with BT Sport Add-on for £45 pm (usually £51 pm) at Virgin Media Enjoy over 70 channels including BT Sport, superfast broadband and phone for just £45 pm! Full House Sports and Movies for £79 pm (usually £84 pm) at Virgin Media Get over 240 channels including Sky Sports, BT Sports and Sky Cinema, ultrafast broadband and phone for just £79 per month! VIP TV Bundle with Sky Sports and VIVID 350 for £89 per Month at Virgin Media Have it all for under £90 a month with the brilliant VIP TV bundle from Virgin Media. Full House TV Bundle for £57 pm at Virgin Media Enjoy over 230 channels, plus players, catch up, TV boxsets and average download speeds of 108Mbps for just £57 per month at Virgin Media. VIVID 350 Fibre Broadband and Phone for £39 pm at Virgin Media The best broadband in the business for gamers. Get ultrafast broadband for just £39 a month with Virgin Media. 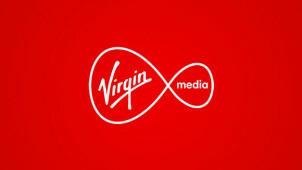 Virgin Media is all about innovation, communication and entertainment in the modern, digital age. As the first provider to bring broadband, TV, phone and mobile together - Virgin Media really is a cut above the rest in the realm of technology. Browse for your ideal package today with vouchercloud to save a real bundle - get it? Fibre optics bring more than just broadband to your home - with Virgin Media you can get the ultimate TV package that will add a whole new meaning to entertainment at home. What you watch and how you want it - with Virgin Media you don't have to panic about not being up to speed with new technologies - because Virgin Media will lead the way. Whether you want to catch up on the latest TV shows, browse the web for top news stories, or record a new series - you can count on Virgin Media to rid you of wires and complications so that you can just relax and enjoy. Go VIP, full house, fun bundle, or another - Virgin Media knows how every family is different and therefore caters for every taste. Watch sports, movies, kid’s shows, documentaries, music, real life dramas and much much more when you buy an exclusive Virgin TV package. Without breaking the bank, you can set up your very own home communication centre, entertainment system or work station with a great value bundle. If you're new to Virgin Media - then you're in for a big surprise. How do I use my Virgin Media voucher codes? Click 'Buy now' to continue and complete the transaction. Choose an all-inclusive bundle from Virgin Media to save on entertainment and communication, without missing out on quality. How do I know if I can get Virgin Media in my home? To know whether the Virgin Media services are available in your area - check online using the Cable my Street utility. Can I cancel my Virgin Media contract? You are able to cancel your contract should you wish, if this is within your minimum contracted period then you will be charged a small fee depending on your service tier. Please check the Terms & Conditions for more information. Where is my nearest Virgin Media store? Should you wish to go and visit them instore, you can find one closest to you by using the online store locator and entering your postcode. How do I switch to Virgin Media? Answer a few simple questions about what kind of package you want at Virgin Media and let them take you through the steps of how to switch. How do I pay for Virgin Media? You can settle your bill with QuickPay if you don't want to set up a Direct Debit, otherwise you can sign into your account 'My Virgin Media' to keep track of everything from your account to your payments. See more details or log in here. You can also seek customer service help online by following a specific line of enquiry online - broadband, TV, phone, etc. Changing the face of home entertainment and innovative communications around the world, Virgin Media provides services and products that let everyone enjoy their favourite selection of quality entertainment. To enjoy great TV and more in a flash, sign up for your package today with a Virgin Media promo code from vouchercloud. With a great range of bundles available to suit even the fussiest of families - every home can switch today to get incredible entertainment. At Virgin Media, you can recycle your old phone and get something back for it too! Not only will you be doing the world of good for the planet by not creating unnecessary waste, but you’ll be doing your bank balance a little favour too. Check how much you could get back for your old mobile phone here and send yours off pronto before investing in your new number! It doesn’t stop at your mobile phone either, you can recycle your whole Virgin media kit when you want an upgrade. We like to chill here at vouchercloud, in front of the box with a bit of Netflix too, so the Virgin TV bundles are top of our list for programmes with great variety. Take a look at the offers page at Virgin Media where you can find the best bundles to help you save, especially when you use a Virgin Media discount code from vouchercloud. Whether you want broadband and phone, or with TV entertainment too - there will be the right one for you and maybe even with a cool freebie thrown in. With a 14day Money Back Guarantee with Virgin Media - you don’t have to worry about taking the plunge!